A very unusual view at the time it was made: a B-Logistics engine running along the Rhine valley. Today this has become more common as Lineas’ Green Xpress network has proven to be succesfull, with their network still growing. 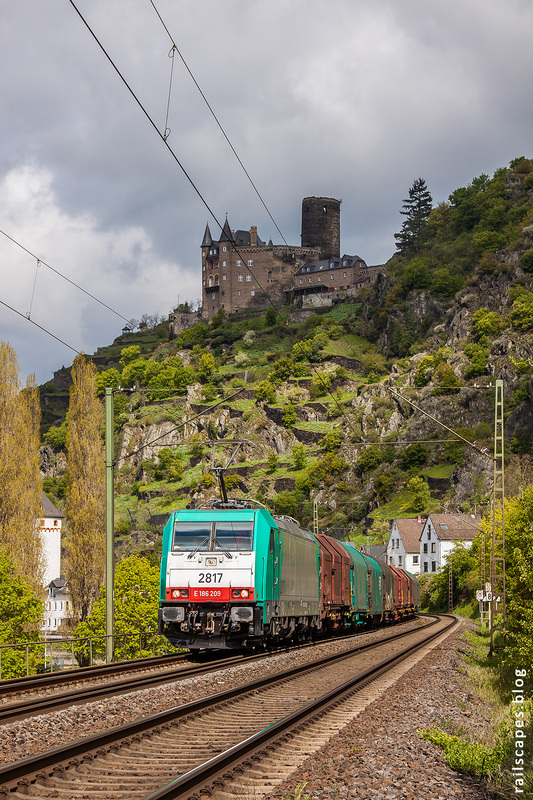 Engine 186 209, running for Crossrail since January 2018, is pictured in an oh-so-typical setting on this stretch of German railway.